Christos Strydis studied Electronics & Computer Engineering at the Technical University of Crete, Greece, and in 2003 received his bachelor's diploma (honors). In 2005 he obtained his M.Sc. degree (honors) in Computer Engineering from the Delft University of Technology, The Netherlands, with a minor in Biomedical Engineering. In 2011 he obtained his Ph.D. degree in Computer Engineering from the Delft University of Technology and funding by the ICT Delft Research Centre (DRC-ICT) and Google Inc. Currently, he is an assistant professor with the Neuroscience department of the Erasmus Medical Center, the Netherlands, and is also a chief engineer with Neurasmus BV, the Netherlands. He is the head of the Erasmus Brain Project laboratory and a senior member of the IEEE. 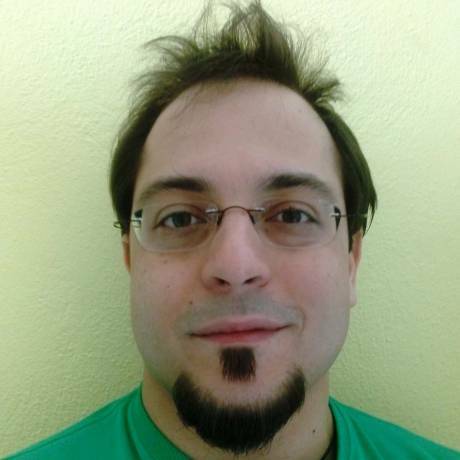 Christos has acted as technical-program-committee member in various international conferences. He has also peer-reviewed for as well as published manuscripts in well-known international conferences and journals. He has delivered invited talks in various venues. He has also supervised multiple BSc, MSc and PhD students. He has authored and managed a number of successfully funded national- and EU-level research proposals. Christos teaches a number of bachelor- and master-level courses in the joint Nanobiology program of the Erasmus Medical Center and the Delft University of Technology. His interests revolve around the topics of high-performance computational neuroscience and of next-generation implantable medical devices with a focus on implantable neuromodulators. Multinode implementation of an extended Hodgkin-Huxley simulator. A Real-Time Reconfigurable Multichip Architecture for Large-Scale Biophysically Accurate Neuron Simulation. Attacks on Heartbeat-Based Security Using Remote Photoplethysmography. The VINEYARD Framework for Heterogeneous Cloud Applications - The BrainFrame Case. BrainFrame: a node-level heterogeneous accelerator platform for neuron simulations. Enhancing Heart-Beat-Based Security for mHealth Applications. Optimizing Extended Hodgkin-Huxley Neuron Model Simulations for a Xeon/Xeon Phi Node. in IEEE Trans. Parallel Distrib. Syst. Towards real-time whisker tracking in rodents for studying sensorimotor disorders. High-Performance Hardware Accelerators for Solving Ordinary Differential Equations. From Knights Corner to Landing - A Case Study Based on a Hodgkin-Huxley Neuron Simulator.